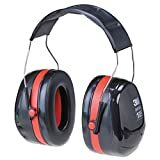 / What are the best Passive Earmuffs? Wearing passive earmuffs will effectively protect your ears from noise. There are tons of brands in all sizes and shapes out there; you just have the right one according to your preference. In this article, we have briefly reviewed three products worth trying. The low-profile ultra slim ear cups would make you feel like you’re not wearing them at all, which makes it efficient if you like going for hours of shooting or hunting. Just imagine the feeling of not having some kind of brace crushing your skull; it’s the best feeling, plus the fact that you know your hearing is 100% protected. It also comes with patented air flow technology that allows air to cool your head while worn as an added comfort. These earmuffs come with a noise reduction rating of 25. 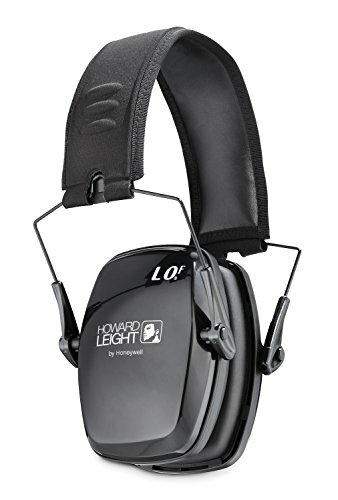 It’s inferior compared to electronic earmuffs but gives ample protection against damaging noise. This may not be sufficient for firing loud firearms that go over 160 dB, so consider having extra protection through the use of earplugs underneath your muffs. For a tight fit, it comes with a telescoping height adjustment that’s made of durable metal on the headband and for added comfort and protection it has padded foam headband and ultra soft ear cushions. They’re also pretty lightweight and can be stowed easily in your bag without fearing for deformities. ​Some owners complained about the ear cushions not being soft enough and were uncomfortable if worn for long periods, but it’s actually just a matter of preferences. Some people find comfort in wearing these earmuffs while some didn’t. It’s important to try wearing it first before purchasing anything as it might be quite hassling to return it once tried. ​These earmuffs come in a higher noise reduction rating than the Sperian at 30 dB. It offers superior comfort fit with its full adjustable stainless steel padded headband, which evenly distributes weight for low-pressure fit. The patented twin-cup design features ear cup pivot points that tilt for optimum comfort and efficiency. The liquid/foam filled earmuff cushions are recommended for extremely loud conditions. 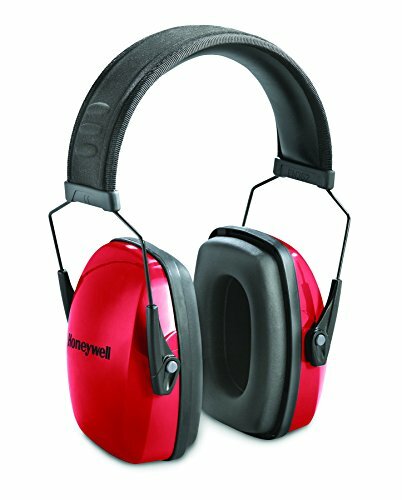 The 3M Peltor earmuff is so quiet that you won’t be able to carry a conversation while wearing this. This may be a pro or a con depending on how you intend to use it. This is mostly recommended if you plan on shooting in an indoor range or you need to do loud tasks that don’t involve chatting with others. Otherwise you may be better off with an electrical earmuffs that is capable of blocking loud noise but at the same time enables you to hear conversations and movements, something that you’ll need if you’re hunting in the wild. For the price, it’s very affordable and you’ll get good quality with durable materials that will last you years of use. Some considered the headphones very heavy and thus put a pressure on your head. It is also not recommended for people with large heads because it’s quite tight and has poor ventilation. 3M stated in the product description that it is adjustable but some owners complained otherwise. These may be owners’ error, so make sure to read the accompanying manual on how to adjust it. Though, it won’t hurt to try going into a store to test it before purchasing this product. It might not fit you because the size runs small. This product has a compact folding design that enables you to store it safely in your bag without worrying about it getting deformed or broken. The ultra slim ear cups are not only stylish, but it provides enough ventilation while worn without having to sacrifice quality, as it still effectively blocks noise that are harmful to your hearing. It is also ultra-lightweight at 40-ounces to avoid putting too much pressure on the top of your head, so you can wear it for hours without strain. ​The padded headband and super soft ear cushions provide all day comfort. These muffs are constructed from steel wire for high performance and robust durability. It also works well in an indoor range where the resounding loud gunshots are often heard simultaneously as it completely blocks the noise out. Passive earmuffs are best used in indoor shooting ranges because it completely protects your ears from loud shots. ​These muffs will block all sounds so if you’re looking for something that will let you hear soft sounds and conversation, this may not be what you need. Get something electronic as it comes with microphones that block only sounds that are over 85 dB while enabling you to hear ambient sound. Another con, this muffs might be too small for an adult; if you are a big guy, consider getting something bigger than this with easily adjustable head straps, otherwise, this may not be the most comfortable passive earmuffs. The best passive earmuffs don’t need to be expensive; the good ones can be bought for less than $25 and you’ll have something that you can rely on for years whenever you will go hunting and shooting. Your hearing is one of the most important aspects in your body that shouldn’t be taken for granted. If you can protect them for only a small amount, why not do so? Get the best passive earmuffs that will suit your need and preferences now. Don’t wait for your hearing to be damaged before you do so, otherwise you might have to spend thousands of dollars for hearing aids and other medical apparatuses.